I’m going to start out by saying I will probably never make these again. Cute and tasty as they are, they are not that easy to put together. You have to be quick or it will melt everywhere! They’re pretty good though. If you feel like taking on a quick-fire dessert and have some help on the assembly line, maybe you can make them work. I barely got a picture in before they all fell apart! 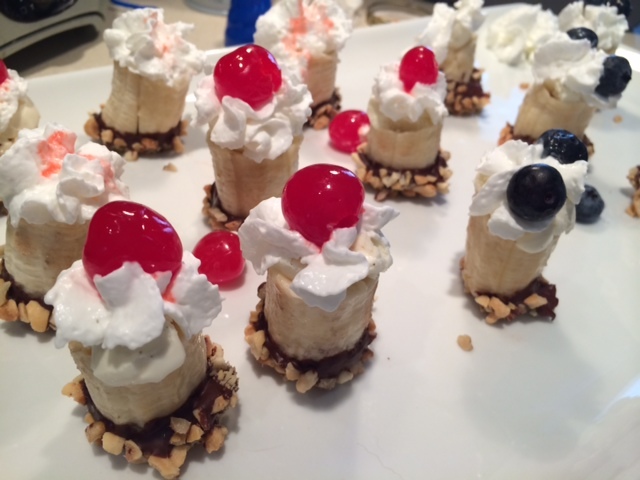 Thanks to my brother-in-law, if you want to try these, maybe take his idea to dip the whole banana in chocolate and put them in the freezer first. Then dress them up with the goodies and serve. It may make things easier. Or try it once and maybe you’ll find an easier way to assemble these. If you do, let me know!! This picture was taken barely a minute after they were put together – they just don’t hold up. 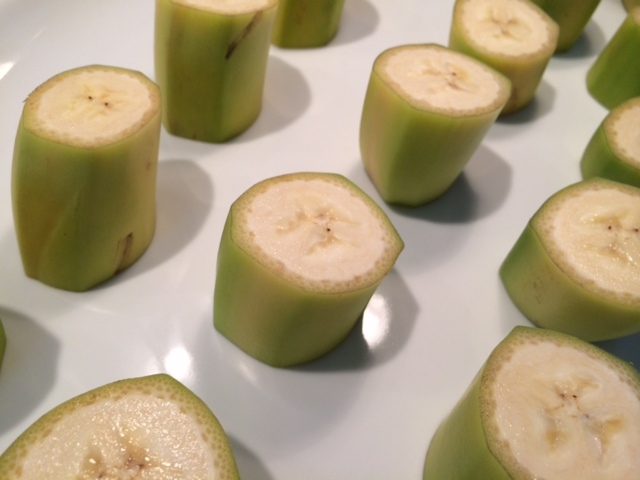 To assemble, slice the bananas with the skin still on. Scoop out the inside with a melon baller and put in the freezer. (Careful how long you freeze them. I had them in there for a couple hours and it was too hard to get the peel off.) 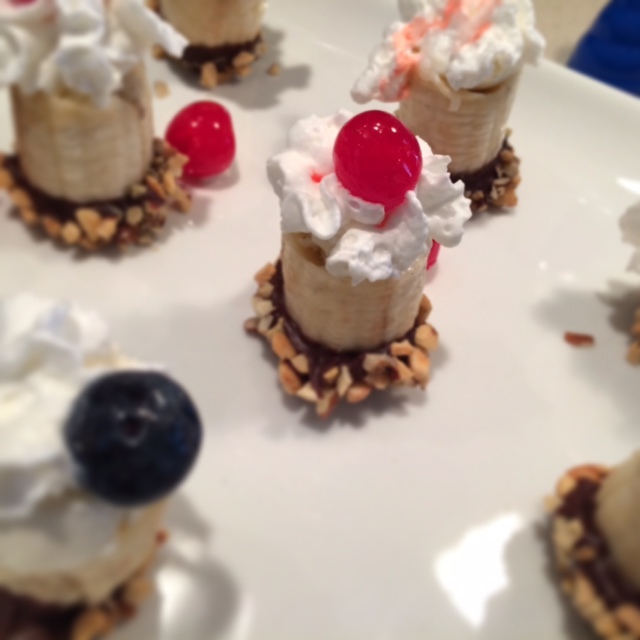 Melt the chocolate, dip the ends of the bananas in the chocolate then top with ice cream, whip cream and fruit. And do it quickly! That’s too bad! They look so pretty.